The LASCO Fittings Venturi Tee has been computer designed with the same professional care and experience that has been our tradition. 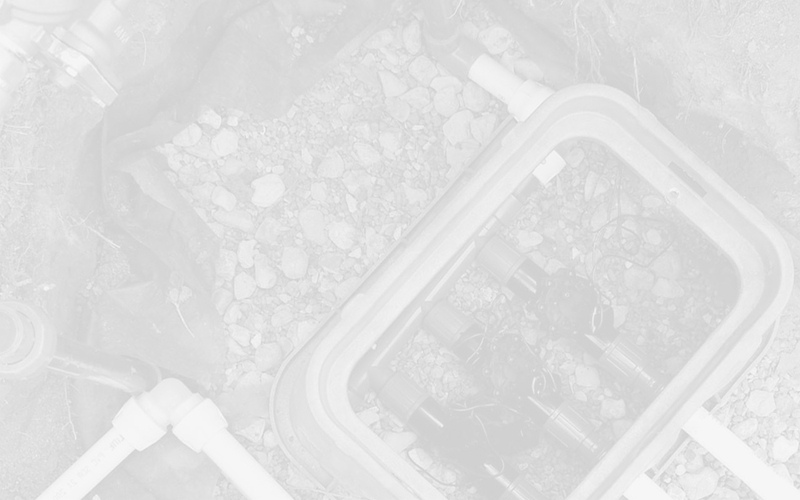 As a designer or contractor of a gunite pool you can be assured the fit of our sockets and spigots will be companion to your other components. All sockets and spigots comply with ASTM D2466 "Poly(Vinyl Chloride) (PVC) Schedule 40 Socket Type Fittings". 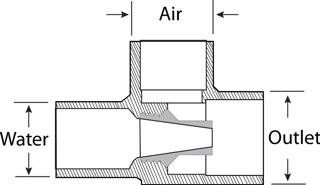 The socket end accepts a standard IPS pipe or fitting internally; whereas the spigot is identical diameter to IPS pipe. Test results show the LASCO Venturi Tee will provide superior action in use. This relates directly to the volume of air which is drawn into the jet stream. This combination results in the ACTION your customer wants. The LASCO nozzle has been designed to eliminate changes when used with additional jets. For ease in determining the proper operation of the venturi tee refer to this chart. 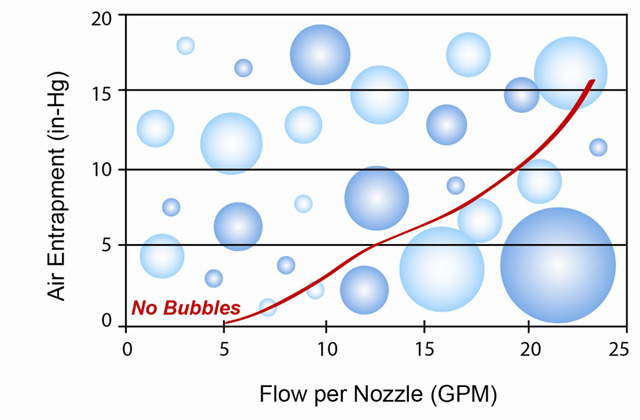 It is recommended to base the design of a Spa on the "Rule of Thumb " • One venturi tee for each 10 to 15 GPM's Attempting to "push" excessive flow through a venturi tee demands very high system pressures.